Ren's interest in old jeeps began in 1975 with the purchase and rebuilding of a 1963 Willys cj5. As with many jeep enthusiasts, his focus soon turned to early military jeeps. In the ensuing years, Ren has restored several early civilian and military jeeps including cj2a, cj3a, M38, MB and GPW jeeps. In 1998, Ren displayed one of his restored 1942 Ford GPWs at the 23rd International Convention of the Military Vehicle Preservation Association (MVPA) at the Tobyhanna Army Depot in Pennsylvania. This jeep was later purchased by the Cole Land Transportation Museum in Bangor, Maine. In 2001, another of Ren's restored 1942 Ford GPW's placed first in judging at the 2001 MVPA East Coast Rally at the Aberdeen Proving Grounds in Maryland. 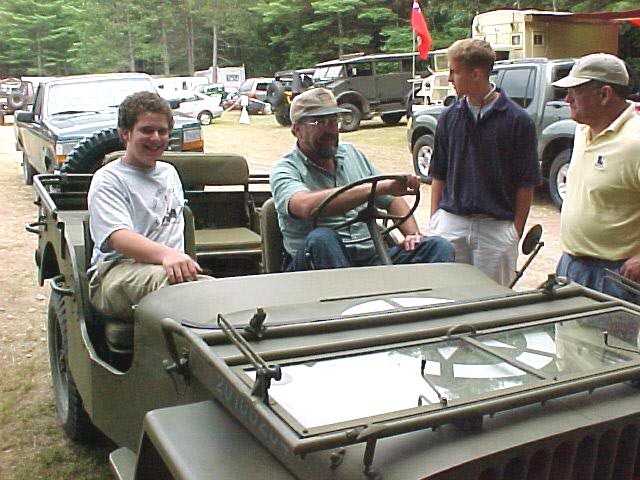 Ren’s interest in early jeeps has led him to numerous military vehicle meets across the country from California to Maryland. In 2001, Ren and a colleague arranged a special visit to the Smithsonian Institution’s storage facility to examine and document the Smithsonian’s very early Bantam jeep #1007 – the only known survivor of the first 60 jeeps built. 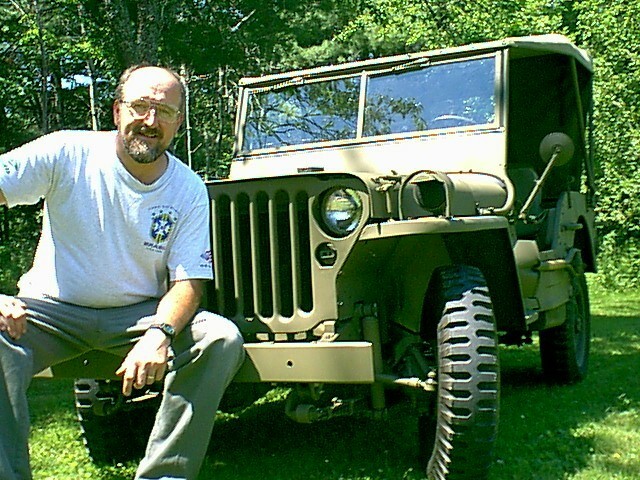 In 2005, Ren published his first book on the topic titled the WWII jeep Guidebook: Buying Owning, and Enjoying Your WWII jeep. The book has proven to be widely popular within the WWII jeep hobby and has sold copies to over 26 countries world-wide. Ren developed this website to be used as a restoration resource for WWII jeep restorers world-wide (www.rensjeep.com) and has contributed extensively to several other WWII jeep internet sites. Ren’s restored jeeps have been in numerous parades, car shows and Veteran’s events. He is a long-time member of the MVPA and an exhibiting member of the Owl’s Head Transportation Museum in Owls Head. Maine. He lives in Topsham, Maine with his wife and three children, two dogs and a psychotic cat.